If you aren’t a fan of pro wrestling it might be a bit difficult to understand why Jessamyn Duke is freaking out over someone named Daniel Bryan with a scruffy beard. He’s just some pro wrestler, right? Wrestling is fake, right? If those are the thoughts going through your head, I don’t know, you probably take everything way too seriously and need to lighten up a bit. Maybe. I don’t know, I’m not a doctor. Daniel Bryan is huge, though. He’s also a huge MMA fan and it has definitely bled through a few times over the past few years on WWE TV. Hell, CM Punk and Daniel Bryan once had a string of matches where they “sampled from” recent UFC fights. The best was probably a match they had on Raw right after Chael Sonnen vs. Anderson Silva II, when Bryan and Punk re-enacted the Chael Sonnen spinning backfist fail with the knee follow-up. Daniel Bryan is on the shelf right now after having surgery to relieve some nerve damage on his neck, but before that went down, he was the hottest ticket going in WWE. How hot? His “Yes” chant and gesture had spread beyond just pro wrestling arenas and into many pro sporting events. If you are watching a game and people are chanting “Yes” while pumping up their fists, pointing at the sky, that came from Daniel Bryan. In fact, many believed that Daniel Bryan was primed to be the next break-through superstar for WWE, something that they haven’t seen since Stone Cold Steve Austin. That’s a big deal. 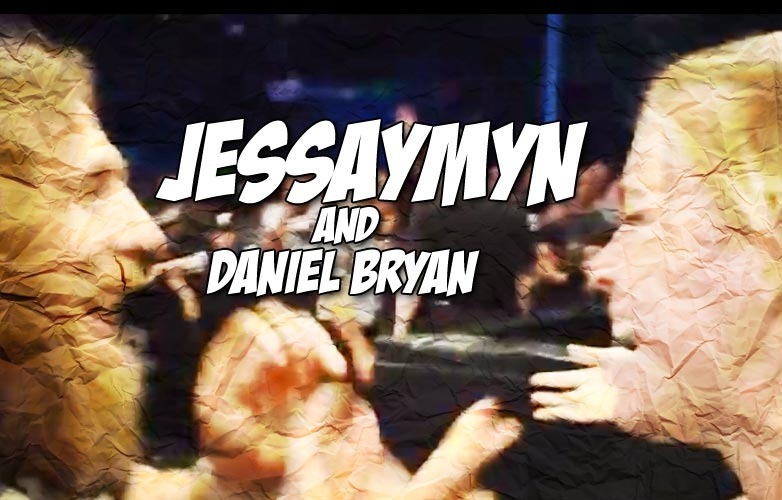 So check out Jessamyn Duke talking about how much she freaked out after getting to see Daniel Bryan perform earlier this year, as well as him tossing up the four fingers to salute them.